​Simple and tasty, what more could you ask for in a breakfast. But why stop at breakfast, this is perfect for lunch or even dinner. 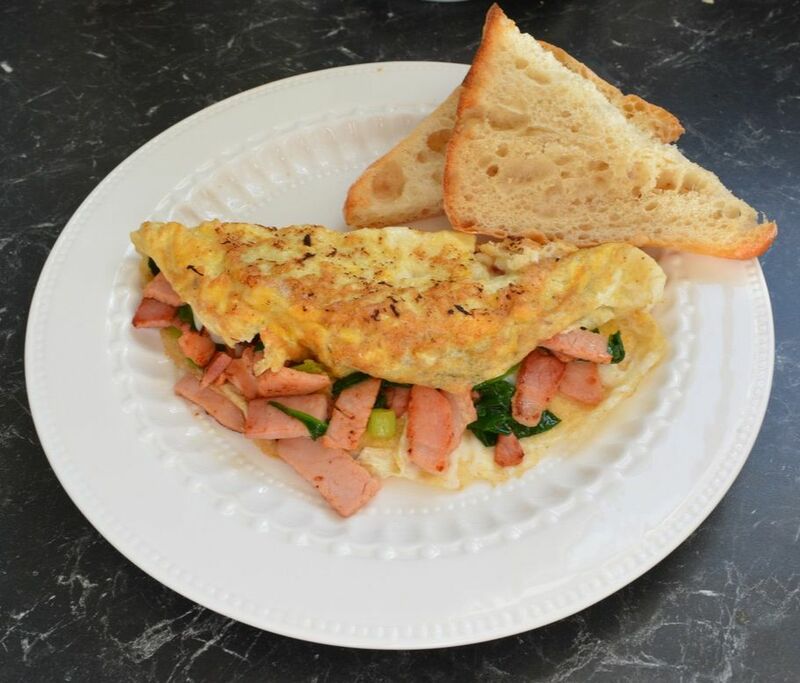 This omelette is a favourite with my family, the flavour combination is just so good. Give this a try soon, you won't be disappointed. Before you start, turn on the grill in your oven, so that it heats up. Place the eggs in a bowl, add 1 tablespoon water, season with a little pepper and beat lightly with a fork until just combined. To a medium sized frying pan, add a teaspoon of oil. Place over a medium heat, add the bacon, saute, stirring, for about two minutes or until the bacon starts to brown. Add the spinach, then shallots, cook, stirring, until the spinach begins to wilt. Place the bacon mixture into a bowl until needed. Allow the pan to cool off the heat for about 30 seconds, then pour in another teaspoon of oil. Place over a low-medium heat, add the eggs and allow them to cook gently, season with a little salt and pepper. As the egg looks nearly set, it still needs to be a little soft/wet on top, place the bacon mixture on one half of the eggs. Sprinkle with the shredded cheese. Place under a preheated grill for about 30 seconds, just to start the cheese melting and to allow the egg to set on top a little more. Remove from the oven. Carefully flip the egg half with out the bacon mixture, over the bacon covered half. 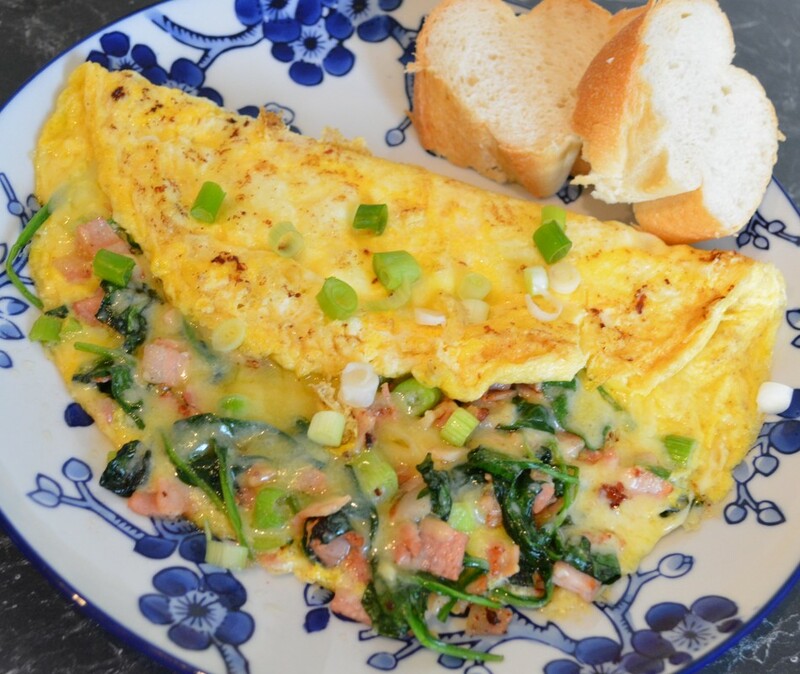 Slide the finished omelette onto a serving plate and sprinkle with a few extra slices of shallots. Serve immediately.